Dodge Cummins Diesel Forum > The Market Place > Vendors > Synthetic Motorsports > Fass Signature Series!! Fass Fuel Systems Signature Series Fuel Pumps! 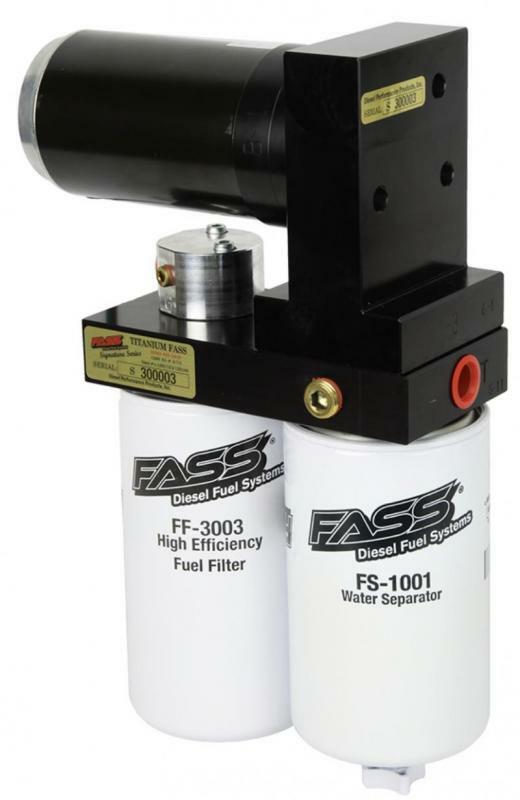 Fass Fuel Systems manufactures high quality fuel air separation systems that replace or add a lift pump to your truck! Every Truck mild to wild benefits from these systems! Fass Fuel Systems has released their new and improved Signature Series Fuel Systems with “Whisper Technology” making them the most quiet, highest flowing fuel system combined on the market! These systems have many new additions to their last series the “Titanium Series”. These improvements extend the life of their motor making a more reliable, longer lasting pump! Reduced the overall noise level of the pump, and helped improve water separation as well as cavitation! Visit us today to get one of these new and improved systems on your truck now!